But I don't have course announcements on my navigation. How do I get this? Hi Keryn, you might have removed the announcements from the menu. You can go to Course setup > Appearance to check this. 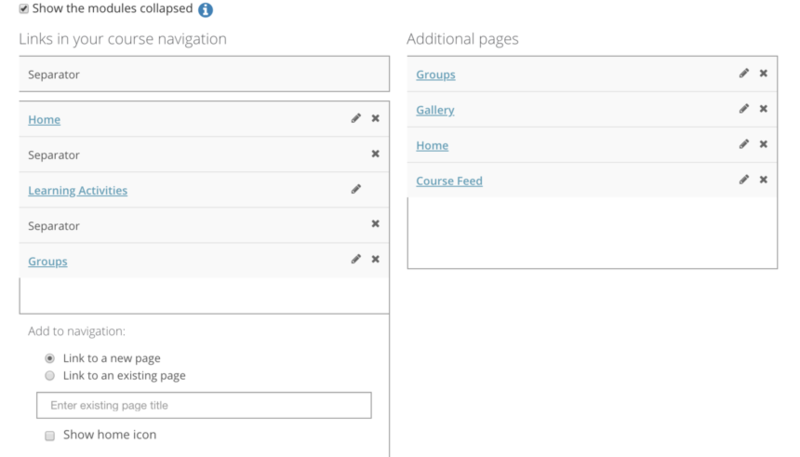 To get the page back, simply drag it from the Additional pages box to Links in your course navigation. This was the first thing I tried. It is not there. Keryn Mells Hi Keryn, no problem, I reinstated your announcement page in your Tips for Autism course. Please let me know if you need it in your other courses as well. Keryn Mells Hi Keryn, all done!